Now i wants to know is it efficient to have a custom list-view for this or a simple linear layout with elements which can be inflated and added to another layout, as i do not wants to have any click operation over the items , i just need to show them over a screen. which one will be better approach? In my android app I need to check whether a particular view is focussed. Now I found the getCurrentFocus() function in Activity class but this returns a View Object. How can I compare and check whether this returned View is same as the one in question. I mean there is no getName() function here. So after getting the View object, how can I compare to check which View class is this ? OnCreate in class A is not called. I created layout from another after click and onCreate is in second layout. I don't know where is the problem. Then in the button bit in the layout i added this - android:background="@drawable/circle_button" But now I wish to have an image inside the circler button. How can I achieve this? Can I simply add something in the drawable xml? I've tried searching for answers but I am confused to what I should search for. My App is ready for Alpha and later, Beta testing. Up until now for testing my Google Play Leaderboards, I used the standard debug.keystore. Now, I'm ready to upload my APK for the first time to the Play Store for my test groups. I've therefore signed the APK with my own private key. So when I install the app from my exported APK, I now cannot connect to Google Play Service to access the leaderboards (expected behavior). I looked around on SO and I saw a question which suggested that I needed to sign my test APK with my own key and this must be the same key that the final production APK will use. Question - Is this correct? Does my Alpha / Beta and Production APK's have to be signed using the same keystore? Is this correct? I've looked but I can't see where to do this?! Important: When you prepare to release your app to your users, you must follow these steps again and create a new OAuth 2.0 client ID for your production app. For production apps, you will use your own private key to sign the production app's .apk file. See Signing your applications for more information. This seems to suggest that the first point above isn't correct? i.e. I can use a debug keystore when I upload APK's for Alpha / Beta testing, but for 'production apps' - which I read as 'final ready to go / post testing' - apps need to have a private key, therefore, not the same as test APK's. Is the above correct and true for my leaderboard situation? I find it a bit confusing, so I may have misunderstood some of the things I've read, but would be grateful if someone could clear up my confusion! How to create and control an alert dialog? The height of the dialog seems locked in to the height of a single line of text rather than using the height value that is set. The dialog APPEARS to be one line tall, however, it does not allow it to go any lower on the screen than the set height would allow. A dialog positions itself on screen to ensure that all of it is always visible, which is why this occurs. Also, if I add a lot of text to the setMessage method the dialog will stretch to contain all of it, is there a way to set it so that it crops whatever does not fit? In summary: It appears that alert dialog does quite a bit behind the scenes in terms of formatting that I would like to disable. Is there a better way to format a dialog? The solution to this problem MUST use Dialog as a base class. Thanks in advance. I'm a newie using Retrofit, and I was seraching for a automatic way to generate the class types for consume a rest web service with retrifit becouse as far as I've seen I'm suposed map all the objects that returns the server. Specifically I want to work with a Endpoint Django REST framework 2.3.14 with a lot of elements by each method, Thats why I want to generate in an automatic way the element types. I've seen some with JAX-RS but I'm not sure it works with django Rest Services. What happens is that the app resumes to the 'content' fragment, but the data from the DataManager is null. This happens because Android kills my app, but when I resume, it saves the state, meaning it shows the 'content' fragment automatically. Is there a way for me to tell the app not to create the 'content' fragment in this scenario? The solution I currently have in mind is to create a 'loading' Activity instead of a fragment, but i'd like to avoid that. I've been scratching my head for a few days and I hope someone can help me out. I'm trying to implement leaderboards in my game and I can't figure out what I'm doing wrong! When my game starts up, I see the "Connecting to Google Play Games" screen load up and then I'm able click the "sign in" button. After that I get a message saying "Unknown issue with Google Play Service". I went through the documentation and a few tutorials but still can't figure out what is wrong. 07-14 19:19:43.920  25791-25791/com.mypackage.mygame D/GameHelper﹕ GameHelper: onAR: Resolution was RESULT_OK, so connecting current client again. 07-14 19:19:43.920  25791-25791/com.mypackage.mygame D/GameHelper﹕ GameHelper: Starting connection. 07-14 19:19:44.871  25791-25791/com.mypackage.mygame D/GameHelper﹕ GameHelper: onConnectionFailed: WILL resolve because user initiated sign-in. 07-14 19:19:44.871  25791-25791/com.mypackage.mygame D/GameHelper﹕ GameHelper: resolveConnectionResult: result has no resolution. Giving up. 07-14 19:19:44.871  25791-25791/com.mypackage.mygame W/GameHelper﹕ disconnect() called when client was already disconnected. I am working on a simple mobile app that controls the camera from phone. I am interested to take pictures with custom shutter speed. UP to 30 second exposures are easily controlled by setting the shutter speed via API, however longer exposures require use of BULB mode. Is there way take a picture with BULB mode from the Camera Remote API? This seems to be a blocker for some use cases i.e. extended bracketing and some weird forms of time-lapse that I want to shoot. PS I am struggling with few more topics - setting metering mode (spot, center, multi), setting white balance tint (green - purple axis as opposed to temperature yellow - blue). Is there way to control these parameters? Example 1 will automatically launch the app in the marketplace if it is not already installed. 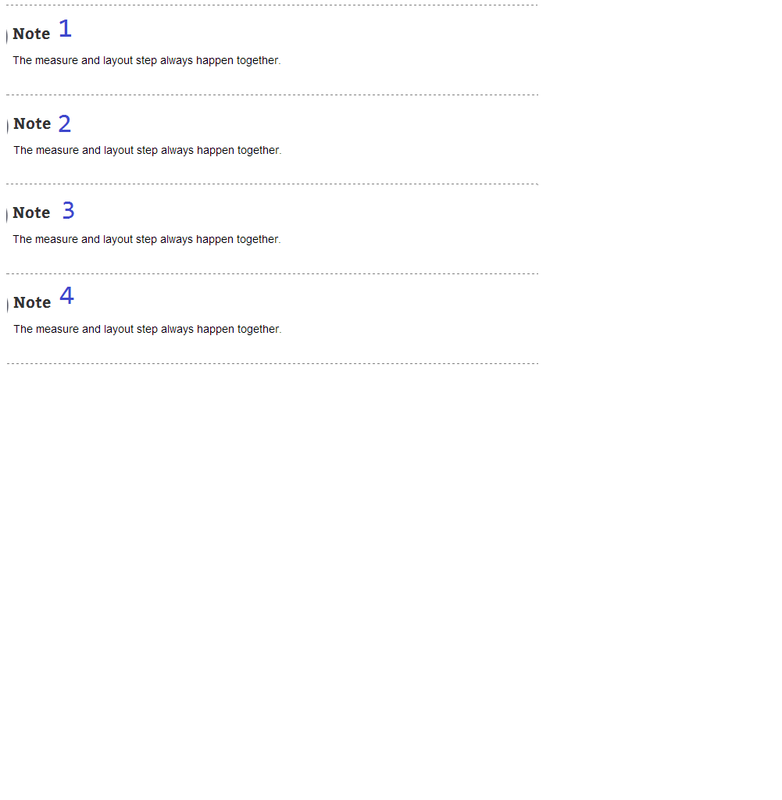 Example 2 I need to actually have a placeholder page page.htm to manage the not installed scenario. Both will potentially work for my needs, both have their advantages and disadvantages, but is there a preferred/supported method? I'd hate to use an unsupported method that ends up failing to work in the future. In my activity using tab for action bar, but what I try to do is when I'm in one of the options my tab, have a button in that fragment and click go to another activity, but I have an error on my Intent on which tells me that is not defined. I'm having a somewhat strange problem. I created an ExpandableListView, an Adapter for it, and two objects to hold the data. The problem is that when I assign a v.onChildClickListener and then try to change the background color of the TextView it changes the background on several of them. Finally, here's where I set the adapter and where I try to change the background of the TextView. It's also where the weirdness happens where when I touch one item it changes the background of that item as well as what seems to be randomly changing the background of other items. I am facing issue to discover ChromeCast devices, i need to enable Debug mode for MediaRouter. I have not found any option on the documentationof android.support.v7.media.MediaRouter. I have been trying to explore the Evernote API - https://dev.evernote.com/doc/. When a business card is scanned in evernote, it stores the email, phone no etc. I am unable to find the calls from the API that would return back that info for me. Let me know how to return that information from an evernote note. I am new in android programming so i take the error of "catchable fatal error object of class stdclass could not be converted to string " from my virtual device. and the error line in php class is below. Thanks for your answers. // birden fazla row döndüreceği için ANY ifadesi kullanılarak birleştiriliyor. and i confuse how to get specified value from there,i've tried to solve this but still have no clue..
get editText input some input validations..
it indeed is possible duplicate of "waiting for user to click a button" on stack overflow, But i'v spent many all nighters trying to solve this, PS : can't really seem to put whole code in onClickListener, i'hd really appreciate if ne1 could really put some effort in solving abovmentioned logic, or at least give me some pointers to work upon. Thanks! So I have an app which uses a couple of very large SDKs (such as the Amazon AWS SDK). In order to circumvent the 64k method limit on the dex file, I run proguard on both prod and debug builds of the app for it to successfully compile. The app runs fine, and I can use Android Studio's built in debugger in order to add break points and step through the code. won't show up either. The only variables that do show up are class member variables. Is there something I need to add to my proguard file in order to get the rest of these variables? Thanks! Why this two code make two differment phenomon happened? Custom circular reveal transition results in "java.lang.UnsupportedOperationException" when paused? Why is a PFRelation saved by saving the PFUser object? How to test Apple Pay using TSYS SDK in sandbox mode?